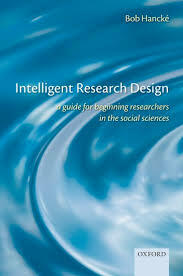 245 1 0 %a Intelligent research design : %b a guide for beginning researchers in the social sciences / %c Bob Hancké. 260 %a Oxford : %b Oxford University Press, %c 2009. 300 %a XII, 142 s. ; %c 24 cm. 504 %a Bibliogr. s. 138-142. Indeks.